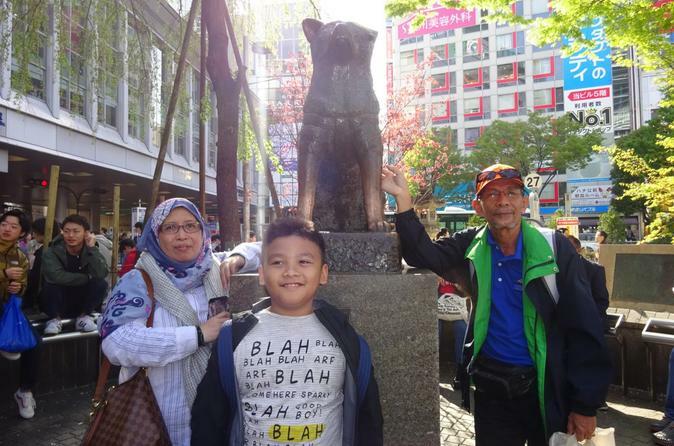 Enjoy a Muslim-friendly guided tour of Japan's bustling capital city. In a small group of no more than 12, begin in Asakusa and see Senso-ji temple, Japanese gardens, and the famed shopping street of Nakamise. After a meal at a Halal-certified restaurant, head for colorful Harajuku and the serene Meiji-Jingu shrine. Finish your tour with salat at the country's biggest mosque. Meet your guide in Asakusa at 9:30am, ready for a 7-hour Muslim-friendly tour of Tokyo. Together with your small group, head for the colorful Buddhist temple of Senso-ji for a stroll around the grounds. After taking a souvenir photo in front of the imposing Kaminarimon, or 'Thunder Gate,' take a walk down bustling Nakamise shopping street to try some tasty snacks (own expense) and check out some of the many historic stores. Then, see the marvelous architecture and Japanese garden which surrounds Senso-ji before having lunch (own expense) at Halal-certified ramen restaurant next to the temple. After lunch, take the Ginza-line Metro (own expense) to Shibuya station to see the infamous 'scramble' at Shibuya Crossing. Get your camera ready for the moment the traffic light changes and about 3,000 people cross the intersection at once. Next, head to Harajuku, the next station on Yamanote line, and visit Meiji-jingo Shrine. Many people visit this shrine to pray on New Year’s Day and also consider it a place of healing. Take the opportunity to experience a quiet moment here in the center of Tokyo. After visiting Meiji-jingu, take a stroll down Takeshita Street on the other side of the shrine. The contrast between serene Meiji-jingu, which is a symbol of the traditional Japanese culture, and Takeshita Street, the center of the latest pop culture trends, is one of the highlights of the tour. Enjoy taking photos or shopping in the and quirky colorful shops. Finally, there is time for salat at Tokyo Camii, the biggest mosque in Japan, located in Yoyogi-uehara, two stops from Harajuku, where your tour concludes.